From Architects, Developers, Realtors and Builders to Property Managers and Merchants, Art Works can guide you in choosing the most appropriate materials for the application at a cost that meets your budget. Residential Real Estate Lawn Signs help build identity and credibility for your agency. 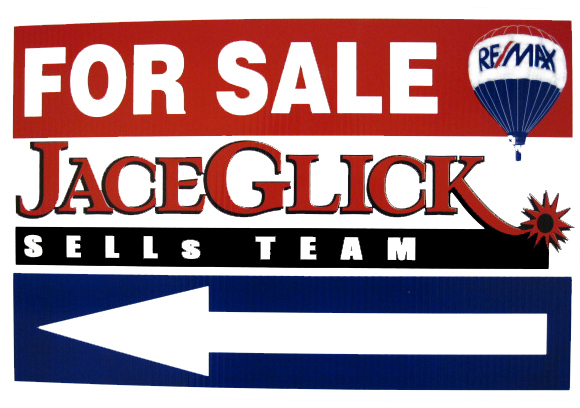 Make sure that everyone knows who is representing your properties by displaying real estate lawn signs. Customize your real estate lawn signs with a picture, logo, slogan, QR Code or any other branding elements that match your agency or brokerage. Real estate lawn signs are an industry standard, so just having them on your properties isn’t enough—they have to stand out! Open House / A-Frames / H-Frames Corrugated Plastic – Inexpensive, outdoor substrate designed for short-term usage Metal – Aluminum or Steel for long-term durability. Commercial Real Estate Demand consideration from potential buyers or tenants with custom signs, banners and window graphics! Site Signs and Lease Signs Corrugated Plastic – Inexpensive outdoor substrate designed for short-term usage MDO – Vinyl applied to sealed particle board providing a long-term signage option for your property Metal – Aluminum or Steel for long-term durability Styrene: Durable, semi-rigid plastic for indoor use.